Not that bad - the return of Kate Beckinsale (in the smokin' hot bodysuit) is welcome and the story itself is interesting (certainly better than the rather drab Rise of the Lycans). Though it's still mostly action and only occasionally good CGI, if you're a fan of this series - or bloody action - it's worth it to check out. The action is good, but..... Still a followup and not that surprising. Even at the end the makers keep the plot open for number five. 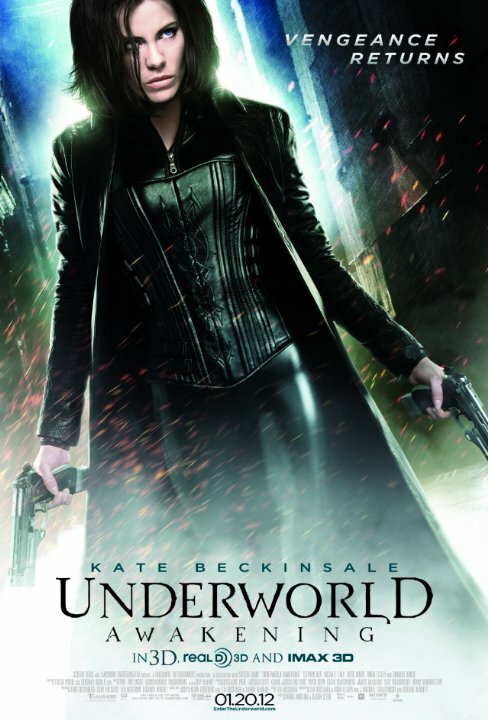 If possible I like vampires, and the movies they play in but now Underworld gets disapoinedly predictable. fun and exciting to watch! Kate is back sexier, angrier, and more powerful than ever! The movie starts out with a quick recap of the first two movies then continues to Selene waking up seeking answers in her sleek black latex outfit. The audience learns that she's been experimented on for the past twelve years by scientist Dr. Jacob Lane (Stephen Rea) who says he is looking for a cure for both Vampire and Lycan afflictions. She is Specimen Two and she assumes Specimen One is her beloved Michael. Selene soon discovers that the humans are on a mission to destroy them but Selene is a Death Dealer and her foes should remember that at all times. No posts have been made on this movie yet. Be the first to start talking about Underworld Awakening!